It’s been ten years since Austin abandoned her. Sam still can’t get over it. He was her best friend and the first man that she ever loved. How could he throw that all away? Stuck in her hometown, Sam has been running the family bakery to support her widowed mother. Without Austin around, it quickly became her prison. 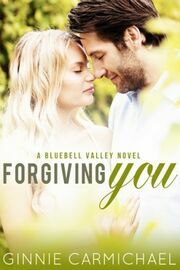 Leaving Bluebell Valley seemed like the best thing that ever happened to the new billionaire, Austin Cole. His company, Cole Technology, has made the world a better place and he’s been rewarded handsomely for it. If it wasn’t for the never-ending loneliness in his heart, his life would be perfect. When he’s offered an opportunity to go back to Bluebell Valley, Austin knows it’s his chance to repair all the damage he’s done. One last chance to win back the heart of the girl he’s never stopped loving. Can Sam ever forgive him and let Austin into her heart again?